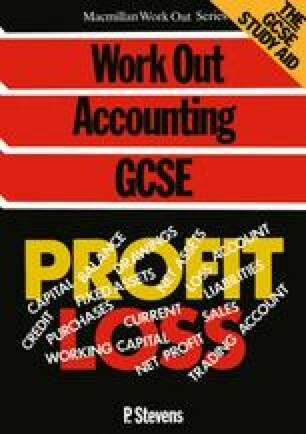 We saw in Chapter 3 that the trading and profit and loss account is prepared to show the profit or loss of the business for an accounting period. The balance sheet is prepared to show the financial position of the business at the end of that accounting period. To achieve this we show the amounts on the asset and liability accounts in the books of the business. You should note that it is not part of the double-entry system; the balances on the asset and liability accounts are carried forward to the next accounting period, as illustrated in Section 1.5 for the bank account. Before preparing the balance sheet, all of the asset and liability accounts should be balanced off as illustrated there.